Lids on Ski Kids - Ski. Play. Live. I didn’t start wearing a ski helmet until the 90s. By then I had spent more than 20 years lidfree. I wore a bike helmet but my parents wore cute ski hats and so did we on the hill. In their minds, the two sports weren’t the same thing. After all, asphalt streets are one thing, snow another. 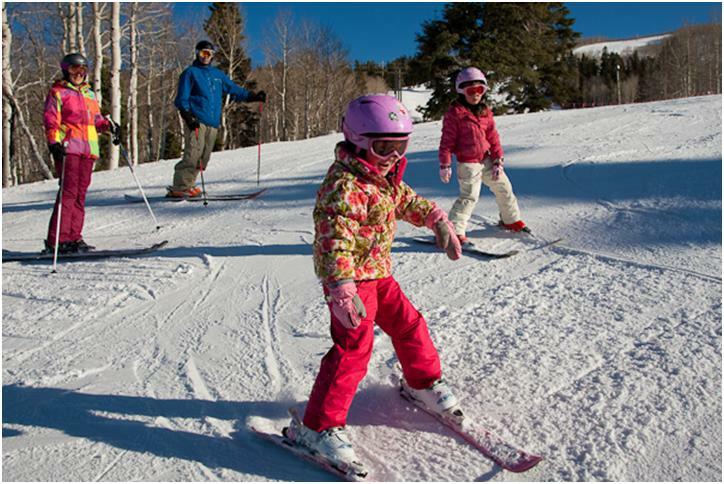 But any parent who has witnessed a group of ski kids zigging and zagging through a clutch of aspens during a Deer Valley Resort kids ski class knows, you’re damn right, it’s not the same. It’s worse. Add to that sight, the fear of Junior being pummeled by an intermediate skier racing down a steep groomer (many resorts are now even grooming black runs!) with little of the finesse required to avoid unexpected objects and, well, you get it. If you hadn’t thought about helmets before, it’s time. It’s past time. 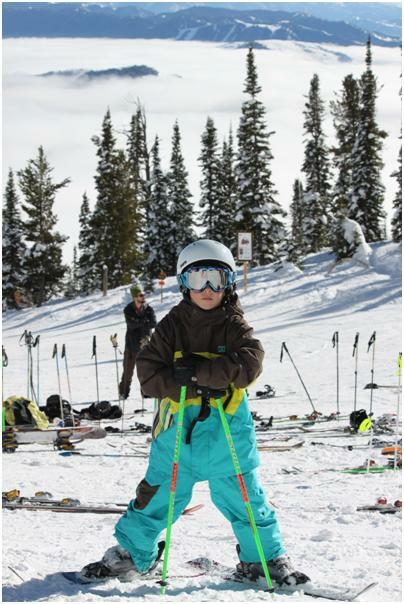 Studies show that ski kids suffer more head injuries on the slopes than adults and several of our nation’s resorts will have mandatory helmet clauses in place for their kids’ ski school packages this season. Rentals are available but the sizing and fit could be atrocious. (See above.) Can you tell I’m against rental helmets? I see countless instances of kids dropkicking them with their ski boots, rolling them down concrete stairs and dropping them out of the car at the parking lot drop off. I want to know that whatever helmet is on my kid’s head it’s going to function at 100 percent in a pinch. 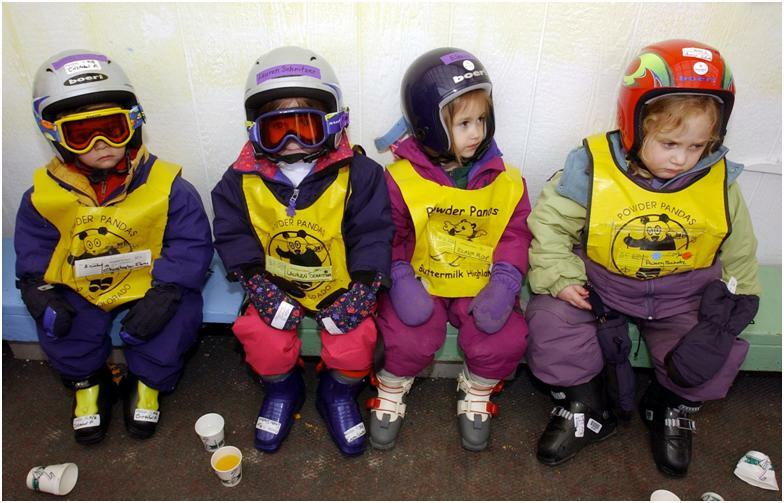 Bonus- a helmet that fits well also keeps your child’s head warm. 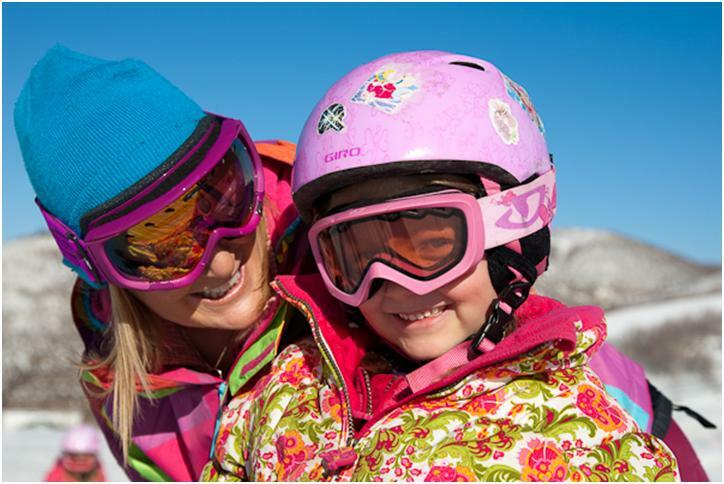 Not to mention, if your child is going to ski, why not let her pick out his very own cool helmet she can decorate with stickers? First- Look for the ASTM 2040 label. It’s not good enough if the only label is from the European Committee for Standardization (CE EN 1077). ASTM standards are higher. Try on several different brands to find the lid that fits the best. Don’t just buy on the basis of reviews or recommendations. If it doesn’t fit, it doesn’t matter how many stars it got on Amazon. Loosefitting helmets that tip all the way back to your kids hairline, ones that sit on top of his head like a Q-tip, a dangling chin strap. All of these ‘looks’ make a helmet about as effective as a condom with a hole in it. The front edge should be one or two finger widths above the eyebrows and cover most of his forehead. The left side of the buckle should be centered and snug under the chin- no more than two fingers should fit between skin and strap. The helmet should pull down on the top of his head when he opens his mouth wide. Small kids may complain of “choking” so get a helmet that fits tightly on his head, loosen the strap and tuck a neck gaiter under it to keep them from whining. This isn’t the safest way to wear a helmet but it’s better than nothing and much better than a screaming kid on the hill. Soon they’ll get used to the strap and you can snug it up. 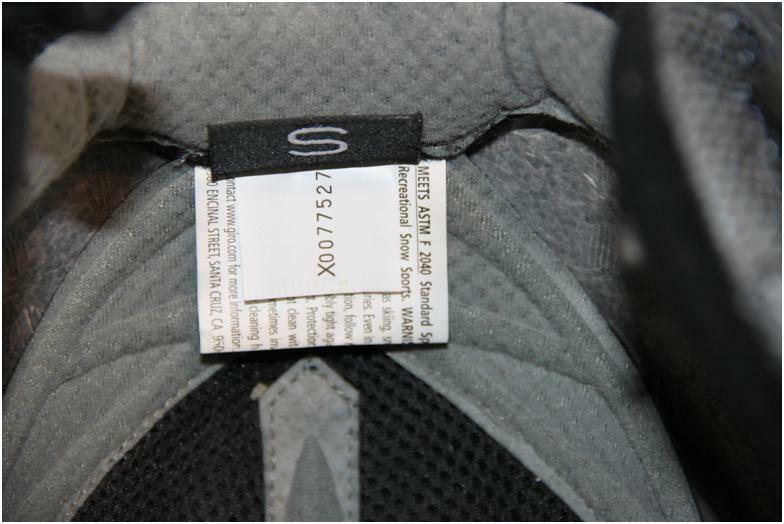 Adjust the slider so that the side straps make a ‘V’ just below the ear. The helmet shouldn’t move more than an inch in any direction when you play with it. Shorten the straps closest to his temples if it’s sliding backward; shorten the strap behind the ears if it’s falling into her eyes. Be wary of purchasing helmets on Craigslist, eBay, etc. If you don’t know its history or the trustworthiness of the seller you’re bound to end up with a used helmet that’s experienced the intended abuse. A helmet that’s been in anything from a severe accident to a fall from the hatchback may not be able to do the job when you need it to. If your kid has outgrown his lid, call the manufacturer and see if they have a buyback program. If not, shop ski swaps and retailers for last year’s models or pick one up on sale at the end of the ski season. As for your old helmet, recycle but don’t ‘reuse’ unless you know for a fact that the helmet has suffered no trauma in its life. P.S. The best way to convince a kid to wear a helmet is for you to set the example. If you don’t wear one how can you expect her to?